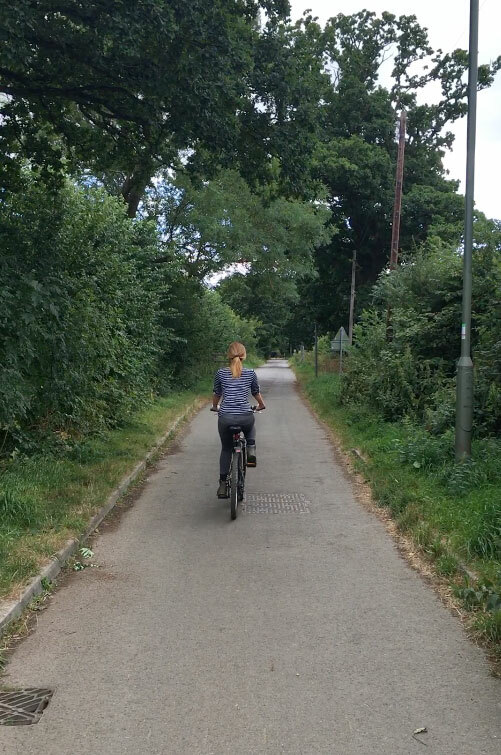 The Langshott lanes is cycle-friendly area with a flat cycle route approximately 120 yards from The Farmhouse Pub. Why not stop off at The Farmhouse for a refreshing drink or a bite to eat before or after your journey? You can also cycle from Redhill to Horley following the National Cycle Route 21. The cycle lasts approximately 2-3 hours where countryside meets the town of Redhill. In July 2016, Sustrans (a charity which promotes cycle routes in the UK), cycled the National Cycle Route 21, stopping at The Farmhouse Pub for a well deserved lunch! The route is open and signed as the Downs and Weald cycle route. This section of the route follows the Waterlink Way through South-East London on quiet residential roads. After leaving Greater London the route becomes more rugged but this improves once you have passed under the M25. The route continues on to Redhill and then Crawley where you can connect with Route 20.